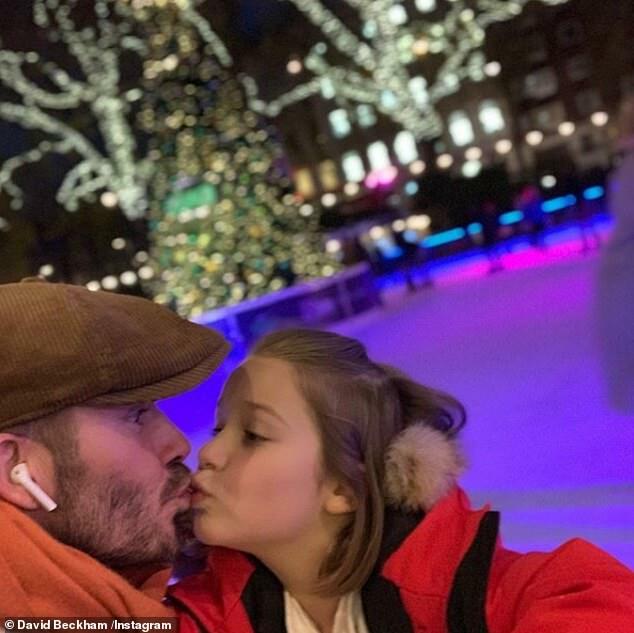 DAVID Beckham has been targeted by trolls after he shared a sweet photo of him kissing daughter Harper, seven, while ice-skating in London. 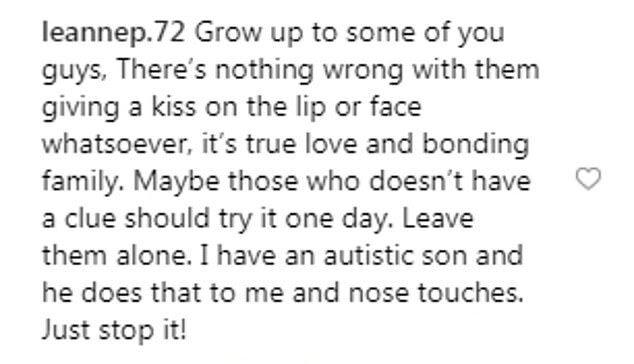 The sport star's loving Instagram post was met with a stream of comments from trolls claiming it was 'wrong' for a father to kiss his daughter on the lips. One follower posted: "I don’t care what anyone says if a dad kisses a child on the lips it’s completely wrong smd." "I feel like a kiss on the cheek is better than that n the lips. The lips is just weird," another shared. "why on the lips tho..." a third added. "She's your daughter. .why are you kissing on her lips..?..that's ur wife kiss..."
In light of the vulgar commentary, David's loyal followers rushed to his defence and called the trolls 'sick' for ruining the heartwarming family snap. A follower posted: "There is NOTHING wrong with this. It's his daughter man... y'all are sick." "That’s his kid and it’s innocent, stop giving Becks a hard time!!!" another shared. "Beautiful Dad and Daughter nothing wrong with this. He loves his daughter." A fan commented: "Anyone who thinks this is wrong. Clearly you’re not right in the head if you’re thinking that." "It's a beautiful photo of a loving father. Why do people have to ruin something so innocent," a fifth said. While another gave a word of advice to David: "I hope you have a big delete button for all the haters on here. Honestly folks go get a life." Last year, David hit out at critics who said he should not kiss Harper on the lips - insisting he does the same with all of his children. The former England captain came under fire in June 2017 for sharing a snap of him giving his daughter a peck on the lips but defended himself by saying: "We want to show our kids love." Reacting to the disapproval from some fans, David said: "I got actually criticised for kissing my daughter on the lips the other day. I kiss all my kids on the lips. David also has sons Brooklyn, 19, Romeo, 16, and Cruz, 13, but said his eldest son is the only one he would think twice about kissing in public. He continued: "Brooklyn maybe not. Brooklyn's 18, he might find that a little bit strange. "But I'm very affectionate with the kids. It's how I was brought up and Victoria, and it's how we are with our children. "We want to show our kids love and we protect them, look after them, and support them, and we're very affectionate with them."